Thread veins on the face – also referred to as Telangiectasias – are the result of widened or broken blood vessels near the surface of the skin. The vast majority of people will experience thread veins on the face to some extent or another during their lifetime, though the problem can be significantly more severe for some than others. While some thread veins on the face are extremely faint and difficult to see, others can create deep and permanent discolouration across much larger areas of the face. Even though thread veins on the face are typically harmless and don’t cause any pain or discomfort, they can nonetheless be unsightly. HSA Dermal Clinic is proud to offer the latest advances in cutting-edge treatments for thread veins on the face. By combining state-of-the-art technology with the most advanced techniques, we can quickly and permanently eliminate thread veins in even the most advanced cases. Contact a member of our dedicated support team today to organise an obligation-free consultation. HSA Dermal Clinic provides the most advanced thread veins treatment in London, using cutting-edge technology to effectively and permanently eliminate problem telangiectasias. Our dynamic approach to thread veins treatment enables us to target the affected area with pinpoint precision, getting to work at the heart of the problem while leaving the surrounding tissues intact. State-of-the-art lasers and IPL devices quickly and effectively eliminate thread veins at the source, while at the same time stimulating the production of healthy collagen and elastin. Our commitment to bespoke thread veins treatment solutions for every client has earned HSA Dermal Clinic an enviable reputation across London and beyond. 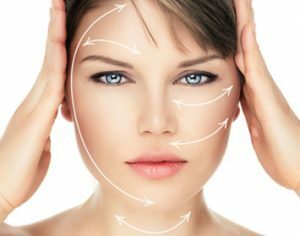 We exclusively provide non-surgical dermatological treatments for a wide variety of conditions in London at our cutting-edge clinic in Richmond upon Thames. For more information on any aspect of new-generation thread veins treatment, contact a member of our dedicated support team today. Take a stand against telangiectasias, with London’s most advanced and capable spider veins treatments. HSA Dermal Clinic is proud to offer a comprehensive range of spider vein treatment options to suit all requirements and budgets, performed at our exclusive clinic at the heart of London. Though primarily an aesthetic concern rather than a health issue, we understand the detrimental effect problems with spider veins can have on self-confidence and quality of life. If looking to explore the most advanced spider vein treatments available in London, the HSA Dermal Clinic team is standing by to take your call. We combine the latest technologies with advanced clinical techniques to deliver fast, effective and long-lasting results for all patients. What’s more, we also go the extra mile to guarantee unbeatable value for money, without compromising on quality. Whether ready to go ahead or simply considering the available options, contact a member of the HSA Dermal Clinic team today to discuss our revolutionary spider vein treatments in London.